Circular outline. 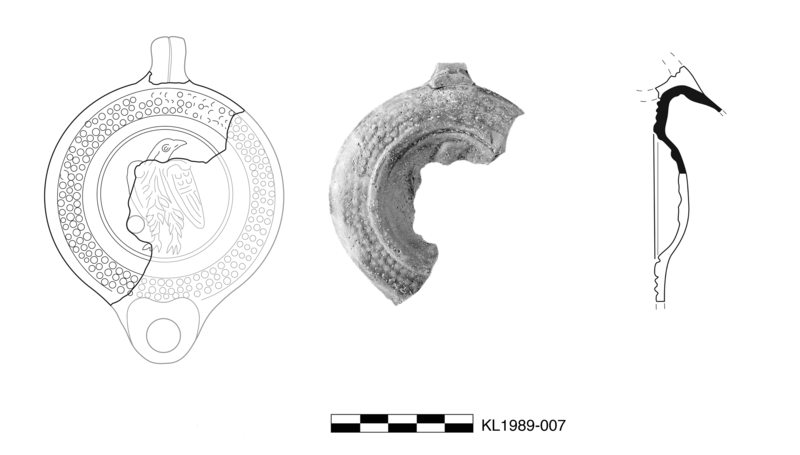 Circular, concave discus has relief of eagle standing three-quarters to front with wings addorsed, filling hole to lower left, and rounded framing ring. Rounded shoulder has three concentric rings of globules. Band handle attaches to rim of discus and at 1.5 cm below rim. This type can have heart-shaped nozzle. Fabric: 5YR 7/8, reddish yellow. Slip: 5YR 3/2, dark reddish brown. Fine, hard fabric with very rare, very small, angular white inclusions and one large, angular, calcite chunk at surface and rare, very small flecks of golden mica. Somewhat thin, uneven, dull slip that is mottled and slightly flakey, with dull metallic sheen. Finger marks in slip along edge. 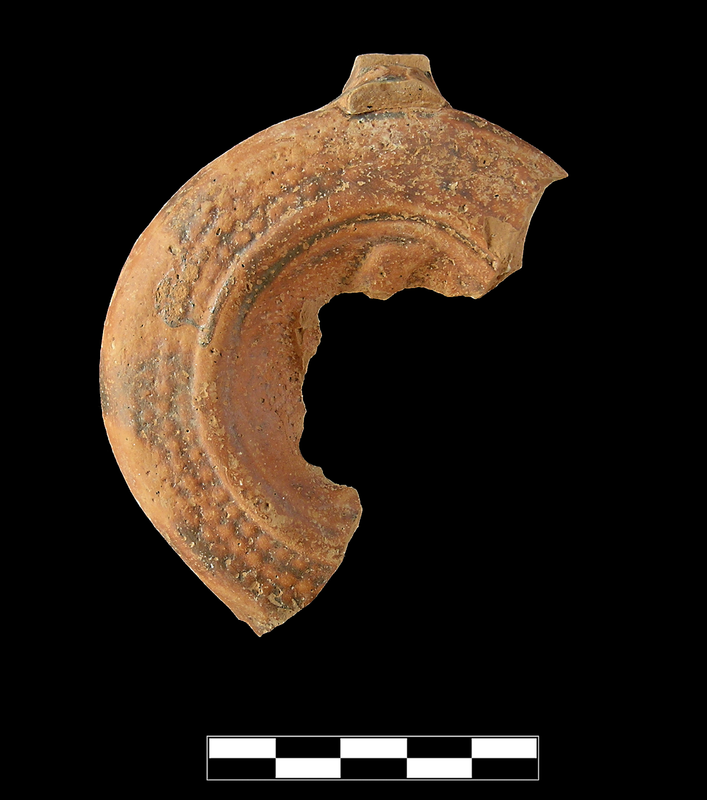 One large fragment preserves three quarters of rim, less than one half of discus, and small part of handle. Slight, sparse abrasion, pitting, and flaking.